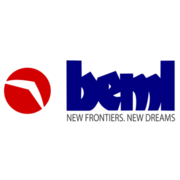 BEML Recruitment 2019 - Job notification for Expert/ Consultant Post in BEML, Bangalore, Karnataka. Applications are invited by BEML Limited on or before 22 Apr 2019 for 1 vacancy. The monthly Compensation will commensurate with his/her experience/ credentials, last drawn CTC, etc. Eligible candidates may send their application in prescribed format to Manager (HR), BEML Limited, Recruitment Cell, BEML Soudha, No.23/1, 4th Main Road, S.R Nagar, Bangalore -560027 on or before 22 Apr 2019, along with detailed CV and all requisite documents/ certificates supporting the qualifications and experience with a recent passport size photograph of the candidate.